Clara Gibson is closest to camera. Third person in line is Sandra "Sandy" Stokes. Second protester carries sign reading, "Ask Mr. Vaughn Why The Schools Are Closed. He will 'Him' and 'Haw' and Decline to Disclose!" “Closed Schools Constitute Catastrophe!!! 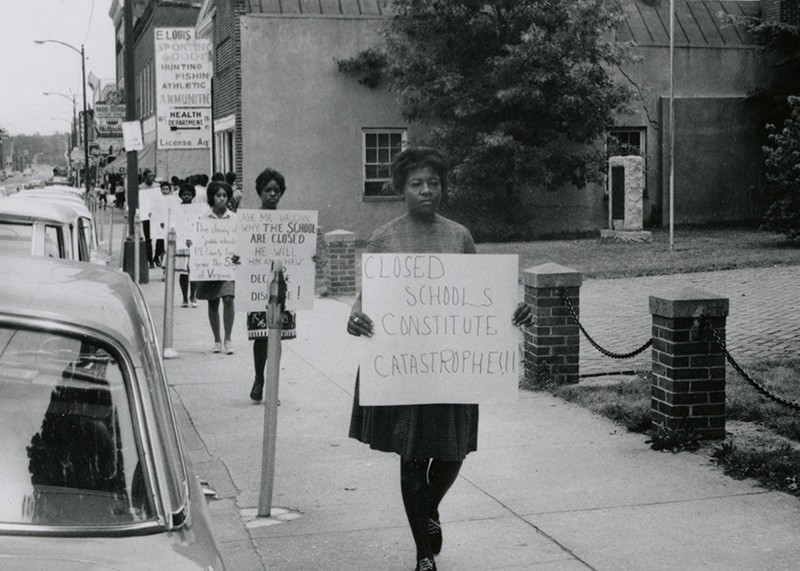 [1963 Farmville, Va. protests],” Social Welfare History Image Portal, accessed April 26, 2019, https://images.socialwelfare.library.vcu.edu/items/show/163.